If you are not set on a particular breed — or if you like surprises — then this is your chance to get a chick that is at least six weeks old at a special price. 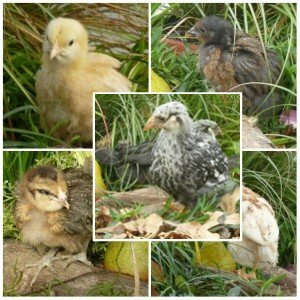 Your chicks will come from any of the breeds that we have in stock at the time we ship. We cannot guarantee which breed will be included or how many different breeds we will be able to send. If you are wanting a particular breed, please order that breed directly. Note: At this age chicks may still be showing some feather loss as they shift from down to feathers. Liane, yes all the 4-9 week olds are female.